EDM Drilling/Hole Popping and Wire EDM – CNC and NC Controlled – EDM – is an acronym for Electrical Discharge Machining and is accomplished with a system comprising two major components: a machine tool and a power supply. In the case of EDM Sinker, Poppers and Drilling Machines, the machine tool holds a pre-shaped electrode that produces a shaped cavity in the product that is being processed. The process is based on supplying power to the process via a series of electrical spark discharges between the electrode and the product being processed. These discharges remove metal by thermal erosion or vaporization with no burrs. 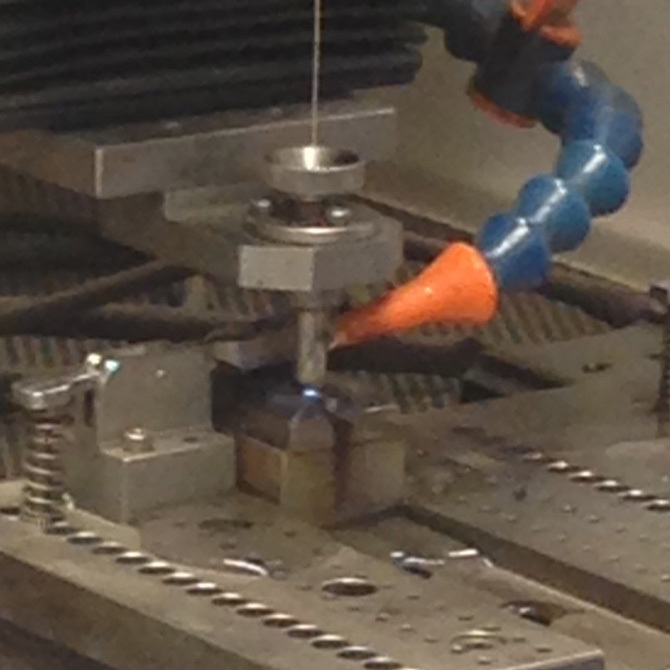 At NT, we use our CNC and NC controlled machines to precision “drill” and plunge form holes and other shapes on the medical devices that we process. The advantages related to the EDM is the precision, consistency and repeatability of the process. This is the same process that is used to “burn” cavities used for injection molding components. We also have CNC controlled Wire EDM capability which we use to process multiple products simultaneously. 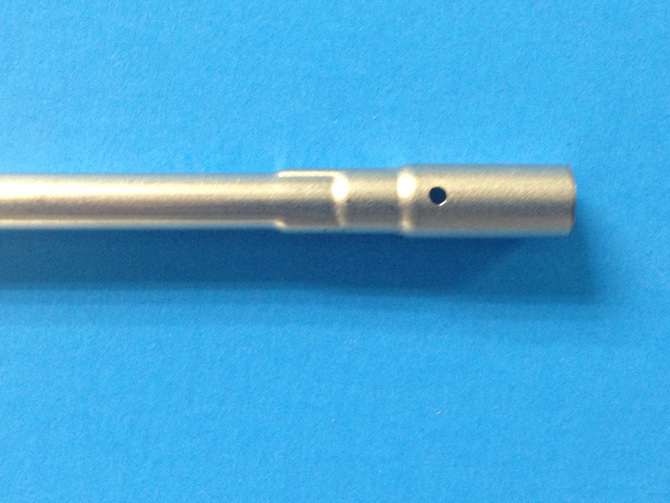 Here the benefit is still as it the process prodburruces “burr free”, precision machined product.